This article was published in Sun Star Weekend last November 15,2015. 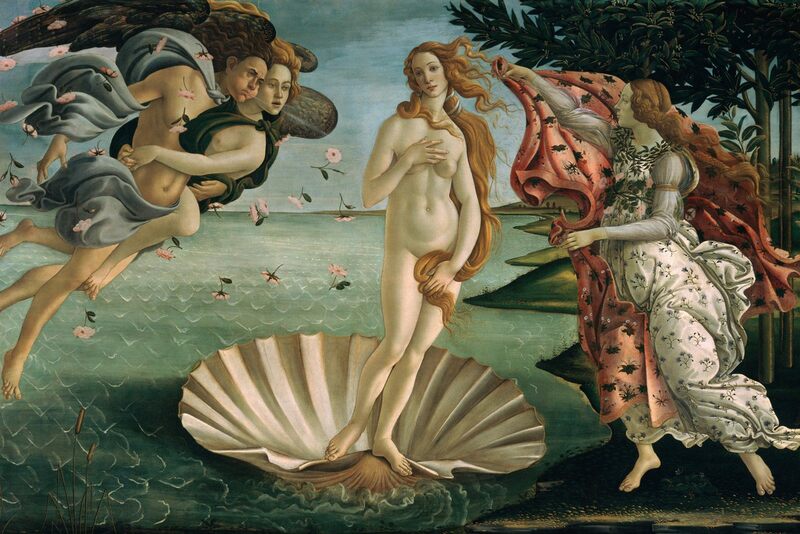 Throughout the course of history there have been countless depictions of women in art. At times sensual, at times coy, and at times alluring, the idea of the female has held many an artist captive. Take a look at the works of Johannes Vermeer, Sandro Botticelli, and Victor Edades to name a few. 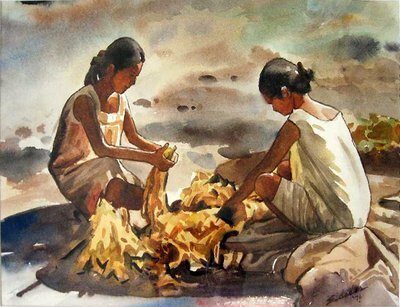 Women have always been an eternal source of inspiration for the creative spirit. Instigating so much curiosity and fascination, they are the most recognized personification of the muse -the guiding genius. But often times in humanity’s grand pursuit of art and beauty, it is easy to forget that women are not only muses. They are also makers. They are creators. They are dreamers. Yes, it is true that we have entered a modern era of smartphones, selfies and a more proactive society that recognizes and identifies with women. Yet despite the heightened social awareness in the local and international community today, it is indubitable that women’s works of art are continually being denigrated in an industry which still remains dominated by men. Though women artists do enjoy a much more improved visibility in the current art scene, a huge disparity between the recognition of male and female artists still remains. 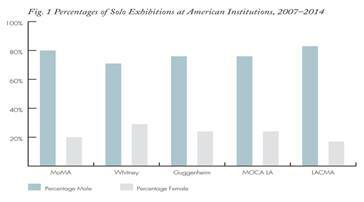 According to the statistics taken from the Artnews article of Maura Reilly “Taking The Measure Of Sexism: Facts, Figures, And Fixes”, from the year 2007-2014 female artists only had about 20-30% participation in the total number of solo exhibitions in various American Institutions, whereas male artists always had the bigger chop at 70-80% (Fig.1). 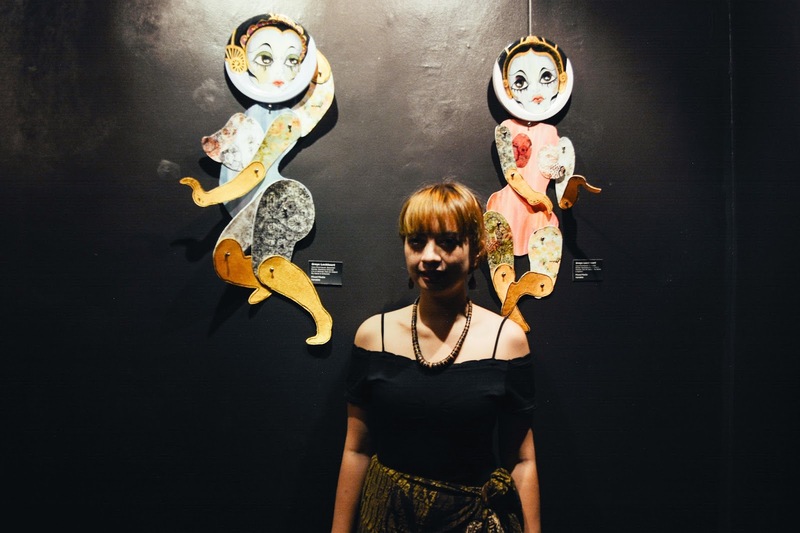 As a counter to this lack of female representation in the local art scene in Cebu, Streetkonect and 856 G Gallery banded together on the 22nd of October, 2015 to bring forth “HER/A” an all-female exhibit aimed at empowering the female artist and reigniting the conversation of women in art. 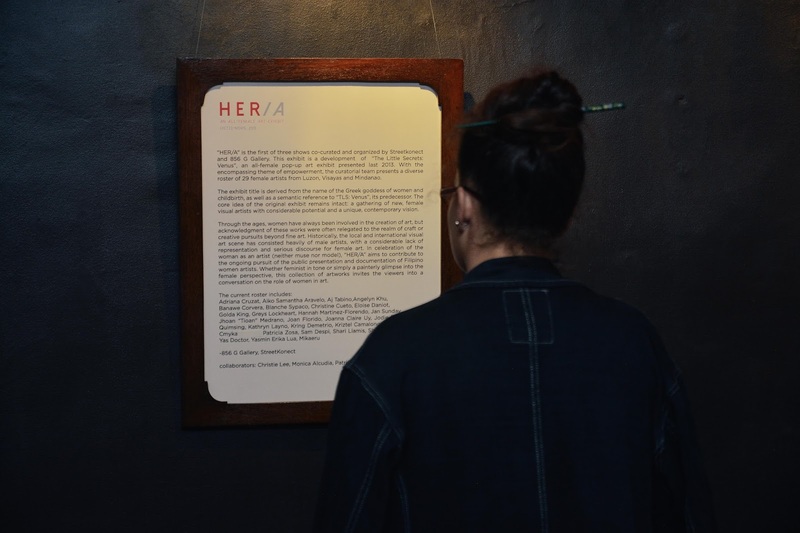 “HER/A” the second installment of an ongoing series of all-female art exhibits organized by Streetkonect, the first installment being “The Little Secrets: Venus”, a pop-art exhibit in 2013. Like its predecessor, the goal of exhibit by Streetkonect is to create a gathering of new, female visual artists with considerable potential and a unique, contemporary vision. And what a powerful exhibit “HER/A” is. 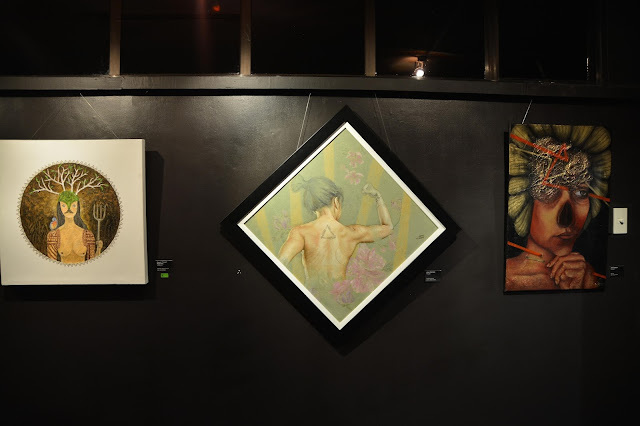 Featuring female artists with different artistic styles, the exhibit paraded a mix of traditional mediums (oil, acrylic, watercolor), digital art and mixed media that successfully reflected the diversity of the female experience. Some pieces seen in the exhibit were strongly feminist in nature, depicting women in battle-mode as they were ready to clean, and women in strong arms and rays of light. Some pieces were beautiful glimpses into all the different lives women live, photographs in multiple exposures and mixed medium paintings that depicted variations of the female body and consciousness. All of the pieces in the exhibit were varied form and structure. Yet at the same time, all of the artworks were the same - all conjoined in projecting and celebrating the strength of the female spirit. Hand-selected by Streetkonnect’s curators,the roster for the exhibit included the strong and talented artists Adriana Cruzat, Aiko Samantha Aravelo, Aj Tabino,Angelyn Khu, Banawe Corvera, Blanche Sypaco, Christine Cueto, Eloise Daniot, Golda King, Greys Lockheart, Hannah Martinez, Jan Sunday, Jhoan "Tioan" Medrano, Joan Florido, Joanna Claire Uy, Jodie Ferrer, Karla Quimsing, Kathryn Layno, Kring Demetrio, Kriztel Camalongay, Martie Dejos, CMYKA, Patricia Zosa, Sam Despi, Shari Llamis, Sharlyn Mae Erandio, Yas Doctor, Yasmin Erika Lua, and Mikaeru. 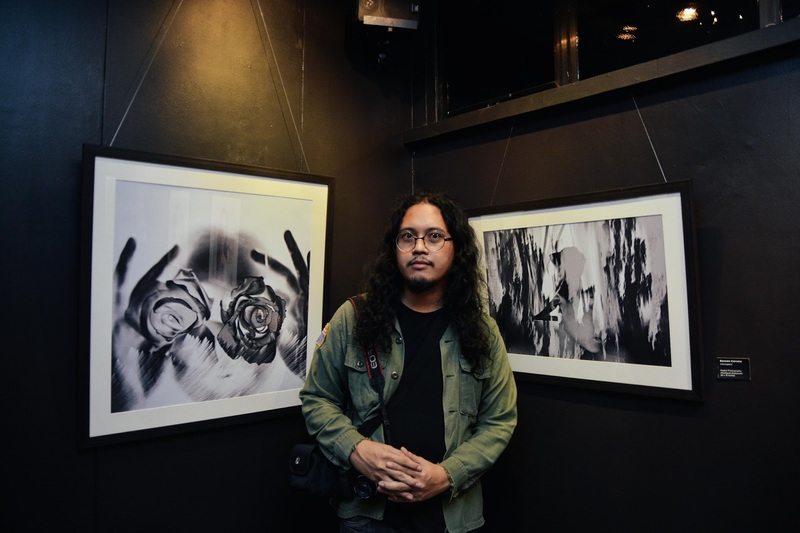 According to Monica Alcudia, Flaime and Christie Lee, the co-curators and collaborators from Streetkonect, their selection for the exhibit sifted for female artists with a developed art style. 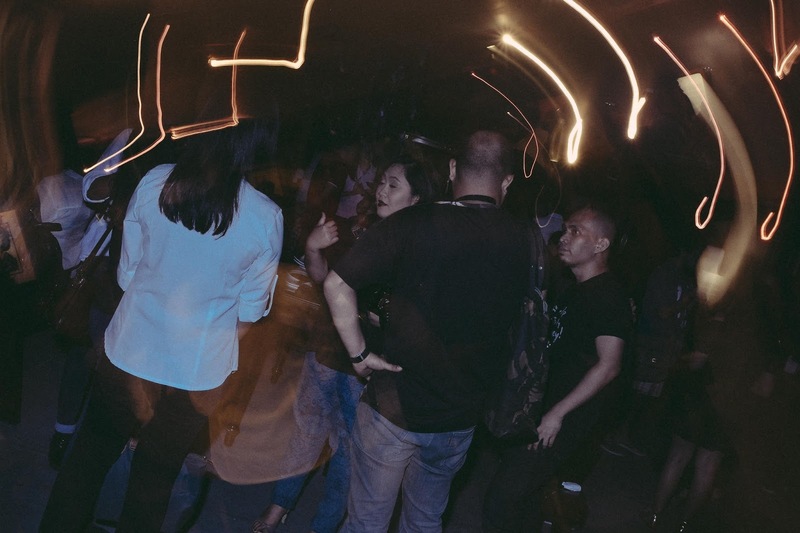 The collaborators wanted the artists for HER/A to have a consistent, clear and contemporary vision in their works and encouraged budding artists who showed these traits to exhibit along the seasoned ones. In the end, the outcome of this stringent method of selection was a motley exhibit of success. Opening on the 22nd of October 2015 in 856 G Gallery, the gallery was packed full despite the traffic that one had to brave along the Mandaue and Talamban routes in order to reach the exhibit location in AS Fortuna. The gallery held a sea of people on its floors. It was pleasantly surprising (and intimidating) to find the gallery nearly filled to capacity with visitors from end to end. 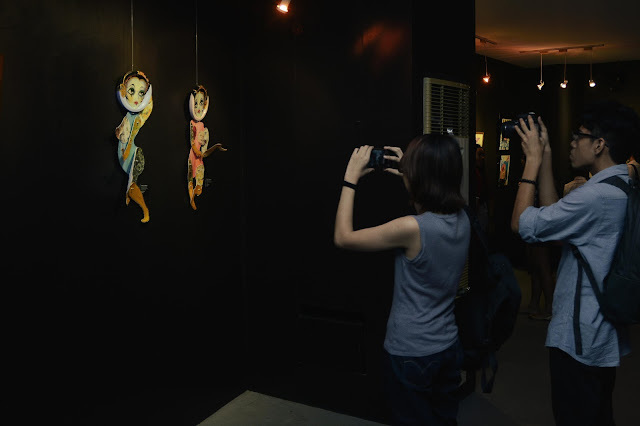 Even at around 8 pm, two hours after the official opening, the exhibit still maintained the choking number of artists and guests. Overall, HER/A was a triumphant exhibit. 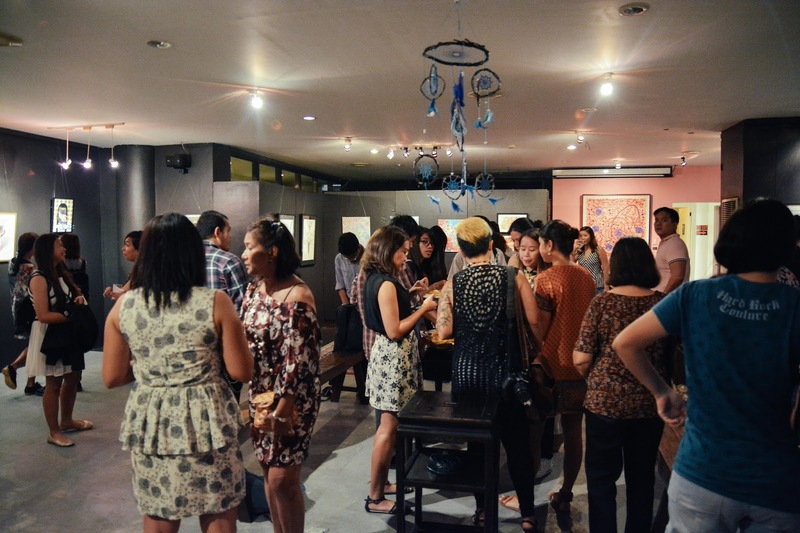 Participants were seen enjoying themselves as they chatted around in circles, took photographs with artists and pieces, and surveyed the compositions from wall to wall. Many left immensely satisfied with all that the exhibit could offer saying that they enjoyed the diversity of the presentation and that they were pleased to find these artists pushing for feminist ideals and the greater visibility of women in the current art scene. Hopefully, the series of all-female exhibits from Streetkonect will continue to go on and will continue to inspire others to take on the torch and fight for women in art today.